It’s important you’re here to investigate eating disorder treatment centers in order to find just the right bulimia treatment program to help bring you or a loved one to lasting health. If you’re here you’ve taken the essential step in eating disorder recovery by first acknowledging that you have a problem. Now you’re ready to get bulimia help and find the bulimia treatment center that suits your budget, is in the best location and has the type of program you think will be able to help you most. Also, check out our bulimia recovery ebook filled with real world experiences from recovered bulimics and how they found the best treatment along their road to recovery. What do eating disorder treatment centers offer? Treatment for bulimia consists of protocols that unveil the deeper causes of your eating disorder, treat the effects, and guide you to create lasting, healthy habits. As most eating disorders are based on feelings of low self-worth, an eating disorder treatment center will offer recovery programs to help you release negative emotions and replace them with techniques that enforce self-esteem and joy. Bad habits can be unlearned as caring professionals guide you towards positive behavior and the balanced lifestyle you deserve. Attention to physical conditions caused by your bulimia and strong supplemental nutritional care are also provided in a good eating disorder recovery program to bring your body functions back to normal. The way to beat bulimia is as individual as you are and can also include medication or holistic practices such as meditation or yoga. 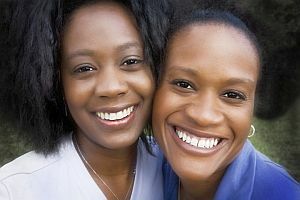 See our bulimia self help resources section. What to look for in eating disorder treatment centers? The most important element in recovering from bulimia is finding a facility with a caring staff and the healing therapies you need. We also encourage you ask each center about their recovery rates and relapse. Here is where the choice is made between an in-patient and outpatient setting. In-patient treatment provides complete care at a live-in facility with a structured environment where the healing process is the sole focus. An atmosphere with no outside distractions is ideal if your bulimic condition is severe. With all protocols in one location, you can build a strong foundation as you embark on the healing process. Outpatient care is ideal if you have a family, are working, or in school, or if you don’t have the financial resources for in-patient care. In outpatient therapy you will typically meet with eating disorder professionals and a support group several times a week to keep you on-track and inspired to stay the course. Outpatient care works best if you have a stabile home life and are familiar with the tools necessary for recovery. If you have difficulty breaking the habits that encourage bulimia, outpatient treatment can be a challenging, but not impossible experience. There are many available outpatient centers such as community service organizations, hospitals, healthcare practitioners, private therapists, and support groups. Make sure your treatment also addresses whatever medical conditions you may have as a result of your eating disorder. In-patient costs vary depending on the type of care and eating disorder facilities you choose. The average price can be from $500 to $2,000 per day. With the normal length of stay running from three to six months. This is a sizable amount, but well worth it as you will be provided with an all-encompassing physical, mental and emotional recovery regime. Outpatient bulimia treatment programs also range in price depending on your needs and choices. Therapy sessions range from $75 to $150 per hour, medications vary in cost depending on the type and dosage, and alternative healthcare practices are often not covered by insurance. There are, however, low-cost options that are free or require a small fee, such as local or online support groups. Note: not all health insurance policies cover eating disorder therapies, and if they do they generally cover only a portion of the costs. No matter what your situation, help is available. Whether you choose an in-patient facility or a lower-cost outpatient option with a private therapist. Bulimia can be overcome and this is verified in our downloadable bulimia recovery stories e-book filled with inspiring words from recovered bulimics. Once you realize that you can change your habits, overcome your addiction and begin to love yourself again, the rest is you staying committed to a healthy protocol. We want to hear about your experience with eating disorder treatment centers. Contact us via email or post a comment on our site to let us know how you’re doing on your journey to health. A short report each week will help you gauge your progress while encouraging others.